Situated within the Kasane Forest Reserve, close to the Botswana border crossings to both Zambia and Zimbabwe, as well as only being a short distance from the Town of Kasane and the entrance gate to the Chobe National Park. 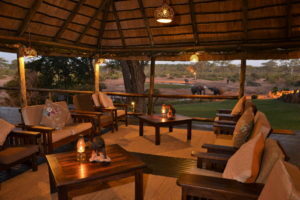 The Lodge can be found in the Lesoma Valley, and overlooks a waterhole. Kasane Forest Reserve is adjacent to Chobe National Park. 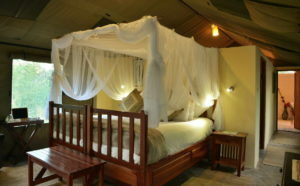 Accommodation is in 20 East African style luxury Safari Tents, with en suite facilities. Each tent is equipped with mini safe and fan. 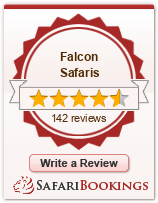 Activities centre on Chobe River cruises, and game drives in The Chobe National Park. The Lodge has reversed the general order of things, by offering a morning boat cruise on the River (which forms the northern boundary of the National Park), as the river has less ‘traffic’ in the morning, thus making a cruise more relaxed, and allowing for more time at game sightings. More of the River can also be explored, as there are no worries about hurrying back to shore at sunset. In the afternoons you can enjoy a game drive in the Chobe National Park which tends to be a little less busy in the afternoon, as many visitors are on a River Cruise. A sun downer can be enjoyed from an excellent vantage point overlooking the River, and the floodplains. Game is also generally more active, making for some excellent sightings. 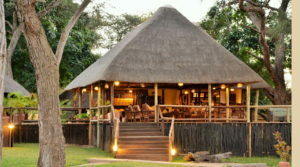 Elephant Valley Lodge is a perfect alternative to the large ‘hotel style’ lodges found in Kasane, and offers a much more authentic ‘safari style’ ambiance. 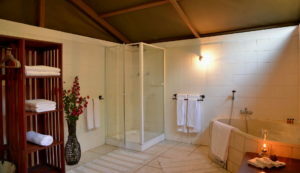 Tents are large, and comfortably equipped including en-suite bathroom facilities. The Lodge offers a very high standard of cuisine served either in the Dining area or in the Boma – both overlooking the waterhole which attracts numerous.